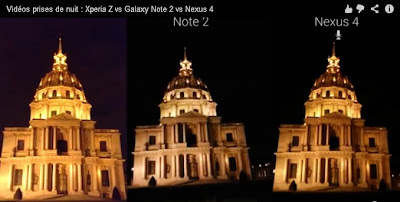 (GSM Insider) - Sony Xperia Z vs Samsung Galaxy Note 2 vs LG Nexus 4 - Camera Quality Comparison. 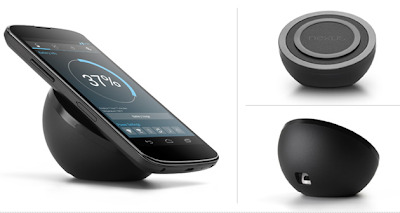 The camera of Sony Xperia Z is one of the most discussed topics in the Android world. GSM Insider reported that the Sony Xperia Z able to capture 999 photos in just 68 seconds only. That's not enough for the 13-megapixels EXMOR RS sensor. Folks at the France Android successfully obtained the Sony Xperia Z and compared it with the current leading devices in the market - Samsung Galaxy Note 2 and LG Nexus 4. 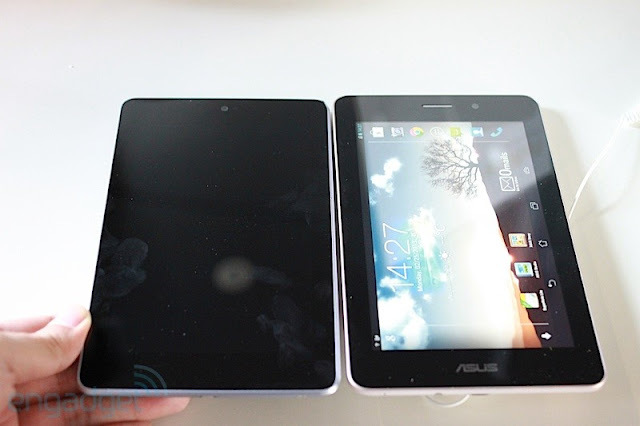 From the comparison images at above, the Sony Xperia Z easily smokes the other two competitors on the camera aspect. 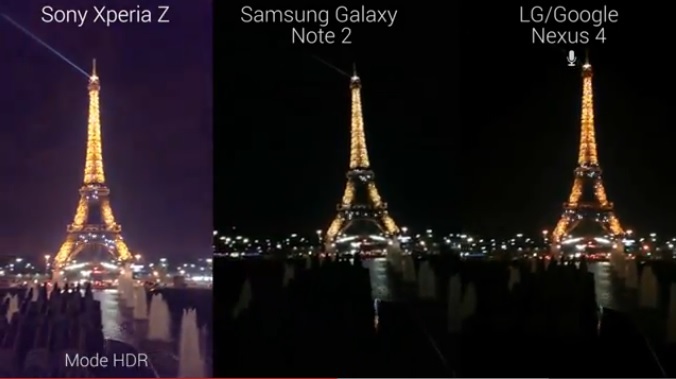 When in the low light scene, the Sony Xperia Z works so well as you can see the Paris Eiffel Tower looks brighter and clearer. 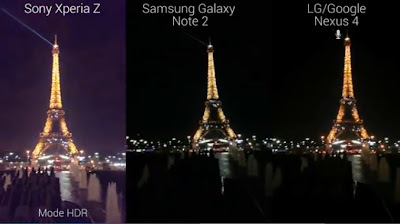 The Paris Eiffel Tower looks a bit dim on the Samsung Galaxy Note 2 and LG Nexus 4. Sony Xperia Z is the first smartphone to feature the HDR mode in the video. The HDR mode can be found in other video recording camera but first time in smartphone. If you are a photo shoot lover, please go for the Sony Xperia Z. 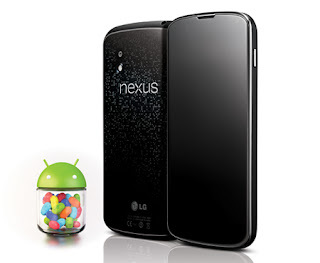 (GMS Insider) - Android 4.2.2 Jelly Bean Rolling Out To Nexus Devices. 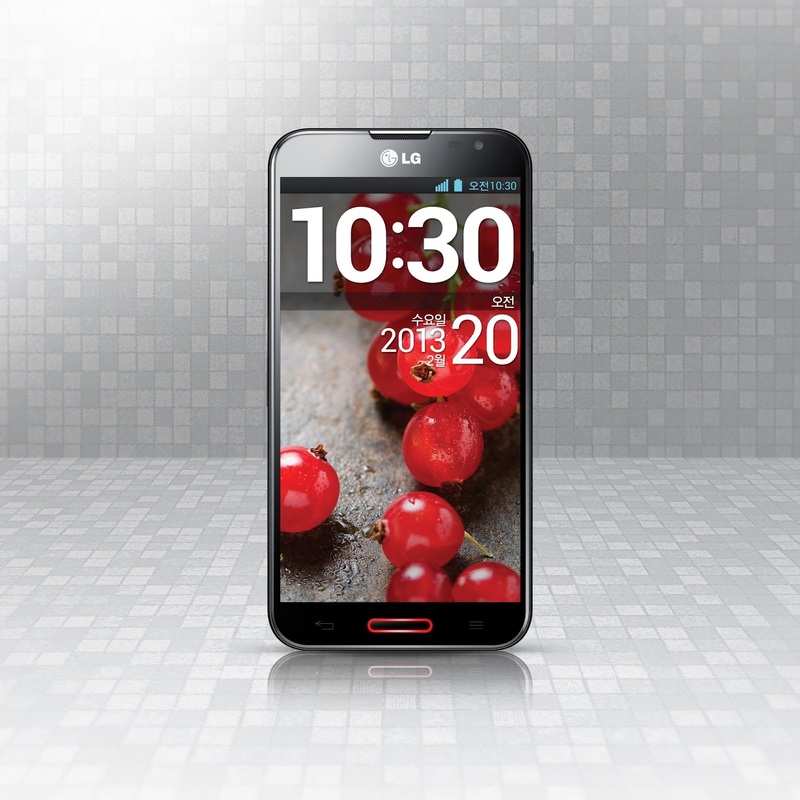 Previously, GSM Insider reported that Android 4.2.2 Jelly Bean will roll out within this month. But seems like the latest Jelly Bean arrives a little bit faster than expected. 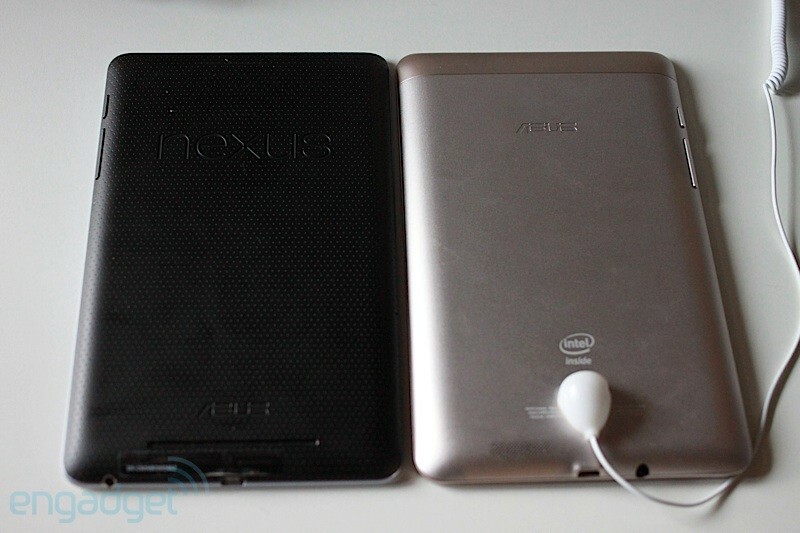 According to users, the Android 4.2.2 Jelly Bean is already pushing out to Samsung Galaxy Nexus, Nexus 7 tablet and Nexus 10. But no news yet on the Nexus 4 yet. The Android 4.2.2 Jelly Bean comes with the build number of JDQ39. 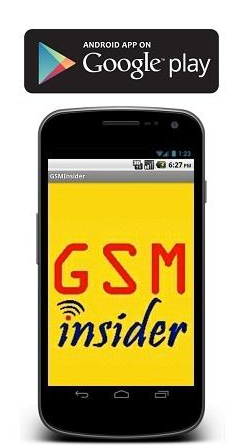 The latest Android version should come with bug fixes and improvement for the system. 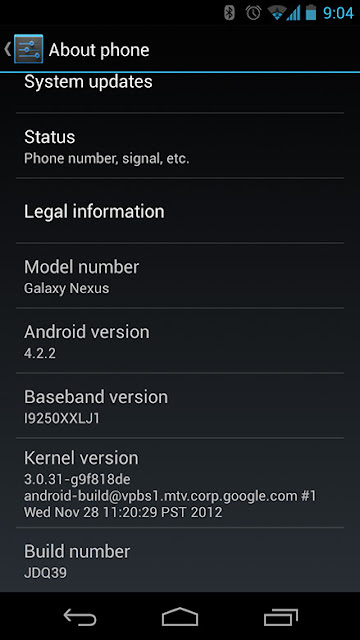 Anyone getting the Android 4.2.2 Jelly Bean?